If you’re in any sort of car club, they are likely to have a meet at a local Starbucks and call it Cars and Coffee. Now we know that members of the RMS forum and friends are less sophisticated and there’s nothing we love more than a [free] burger. And despite both the Circuit of Ireland and Larne’s Ultimate Car Show being on the same day, well over 100 cars turned out at Kerr’s Tyres Belfast depot for the first RMS BBQ of 2016. Those who where there early would have noticed the queue of burbling Subaru Imprezas holding up your entry. As we were arriving, more than 150 Scoobies were leaving for their annual coast run in tribute to rallying icon Colin McRae. For a few moments the car park seemed fairly empty, and then a who’s who of awesome wagons appeared. We had several Nissan GTRs of varying vintage, an E-reg burgundy AE86 Corolla, various S and RS Audis including an R8, RS Clios and Meganes, BMW M Cars, Porsches, a Honda NSX, Ian’s RB26 260z…. I could go on and on. People came and went throughout the day as usual and with such a variety of cars to look at there was something for all tastes. The cars are only part of the appeal – you get to meet the members and spend hours making serious petrolhead talk. I found myself asking about the bespoke Defender interior, I learned that Craig’s 1985 Metro has a passenger side wing mirror and rear wiper as it is a City X model, and that a Porsche 911 Carrera (996) will easily do 30mpg on a run. I’d like to take the opportunity as always to thank all the RMS members and friends who came along to have a chat offline and enjoy some of the awesome motors, people and of course burgers. Also to Norman and the team at Kerr’s Tyres we cannot thank you enough for the venue, staff and food that you supplied. If you like what you see, take a look through the gallery and the thread on the forum, and keep checking the site, the weekly email, and on social media for our next Cars, Tyres and BBQ event. Seem to be a lot of people that only know each other by user name on a forum, I'm in that category! Got there a bit too late :(. Just as the likes of the M4, the defender and the NSX where leaving. 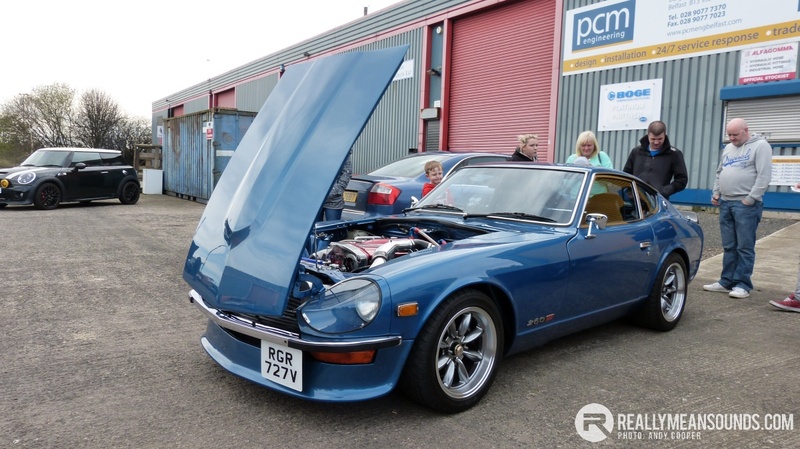 Still some nice cars about and the Datsun was amazing, who owns it? The Datsun and @weeloaney 's Dubshed spec Land Rover were pretty awesome. | Got there a bit too late :(. Just as the likes of the M4, the defender and the NSX where leaving. Still some nice cars about and the Datsun was amazing, who owns it? Anyone else go to Newtownards instead of Dargan Cresent site?? :oops::rolleyes: Got up for the last half an hour, good mix in attendance!